We are pleased to announce that we can now sell MBRP Exhausts. 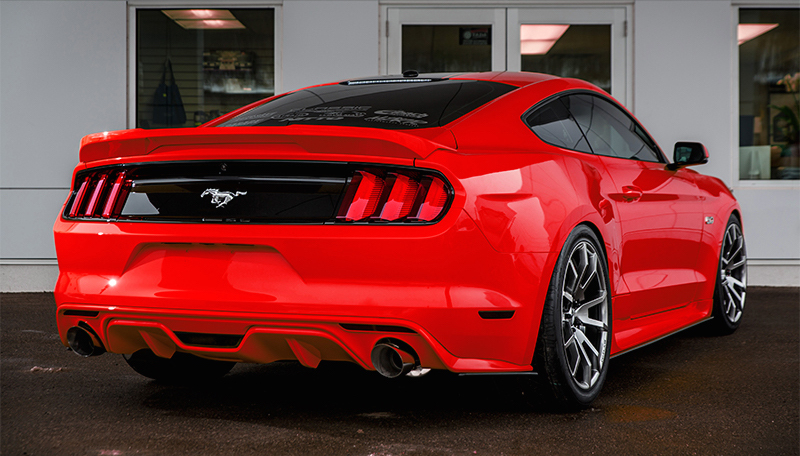 MBRP produces mainly for the muscle market, specialising in Mustangs and Corvettes, they are designed to maximise exhaust flow and minimise EGTs and are subject to MBRPs tough standards to provide a quality product. These systems are tested on MBRPs in-house Dynometer and numerous tweaks and modifications made to maximise performance. These systems are a bolt-on, no weld design to provide easy installation and is a direct fit onto OEM hangers and all clamps and parts are provided in the box. All MBRP systems are specifically tuned to get the optimum sound out of your car. This is MBRP’s motto, and it speaks volumes about their compatibility with Tarmac Sportz. Performance racing components are born on race tracks and in competitions, and this is why MBRP parts are so effective and so robust. MBRP has a history of racing and motorsports, which has influenced their designs and prosecution methods. 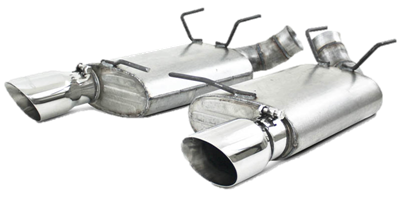 MBRP exhausts have been designed to maximise airflow and minimise component temperature and wear. This means that your car will run faster, more efficiently and will be more durable. It will also roar its approval of your customisation with a hugely improved sound. Components developed using motorsport experience are quick and easy to install, because a component that performs brilliantly on the move, but takes hours to replace is going to leave you stuck in the pit. MBRP components are designed to be installed with minimal tools in under 45 minutes. Bolt-on design and clear, well-written instructions allow even novices to install these exhausts. MBRP exhaust systems vary enormously, giving you so many options when it comes to the part of your exhausts you want to replace. Intercooler pipes, mid-pipes, mufflers, cat backs and axle backs, among others. Several different product series means that you are sure to find the exhausts component for your vehicle. The XP series is rugged and versatile, boasting sixteen gauge T409 construction, and will chew up anything you drive it through. The Pro series fills your ears with a harsh sound and comes with a hassle-free lifetimes warranty. The Installer series is designed to be even easier to install on your vehicle, while offering a 1-year coating warranty and a 3-year workmanship warranty. Between them, the team at MBRP have over 100 years of experience in the aftermarket components industry. This expertise is evident in the sleek designs, smart developments and overall effectiveness of the exhausts they produce. This expertise is an crucial part of why MBRP has been around for over 20 years. Innovation and improvement has kept them at the forefront of the aftermarket industry. The team at Tarmac Sportz is always happy to have a chat about the products we sell, so if you have any questions about our selection of MBRP exhausts, then don’t hesitate to give us a call or send us an email.